"Eyelash extensions are a miracle for brides who need definition for their glamorous wedding photos.".. The latest hair trend for brides isn't the hair on their head, but the hair on their eyes. Eyelash extensions are a miracle for brides who need definition for their glamorous wedding photos. But strip lashes are notorious for falling off through the day, looking obvious and being a pain to put on. Using a professional eyelash stylist to install your wedding eyelashes (and maybe your bridesmaids too) is a great way to look fabulous, while avoiding the hassle of installing them yourself. 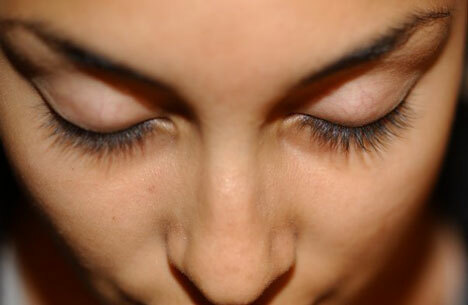 Having a professional do your lash extensions means that you're guaranteed quality and longevity. Most quality eyelash boutiques and makeup artists will apply single, individual lashes that are previously matched to your own natural eyelash using a special adhesive designed only for this service. We all want our eyes to be breathtaking on our wedding day and there are many styles of extensions to choose from that can enhance your baby blues. But remember that bigger isn't always better. 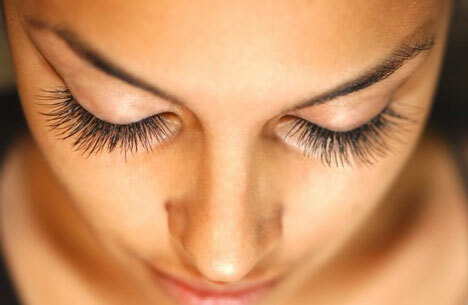 Your natural lashes are fragile and choosing a lash that is over-sized will be a burden, causing them to fall out. Consult with your eyelash stylist beforehand and find a style that suits your look but won't damage what you already have. Try to avoid thick lashes that are exactly straight at the edge. These can look obviously fake and you'll lose the sparkle that you were originially trying to show. We'd suggest choosing some that have both long and shorter strands to keep a natural look. Glues can also be heavy and clumpy, using a professional will decrease the risk of damage to your natural lashes through the over-use of adhesives. If you're having your lash extensions installed the morning of the ceremony, your stylist should put eyeshadow and eyeliner on before they attach the extensions. If they don't, ask them to. Installing the lash extensions after eye makeup will make the line from your natural lashes to your fake ones go toether seamlessly. Most eyelash boutiques will recommend that you come in for a consultation and a preliminary fitting a few weeks before the ceremony, to ensure you're completely satisfied with their service. This is often inclusive with the cost of wedding lash extensions. If you are going to remove your extensions yourself, remember to be gentle. Use a cotton swab with a dab of eye makeup remover to tap lightly at the base of your lashes with the swab. This will loosen the glue that holds your extensions. Pluck off each strand delicately. They can obviously be re-used, but if you're going to save them, be equally gentle when re-installing them yourself. 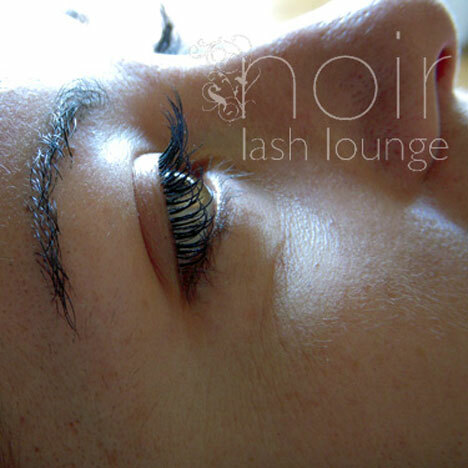 Where-to now for Wedding Eyelash Extensions? The quickest way: use WeddingRequest.com to quickly contact all the Beauty & Makeup professionals in your region and ask for a quote on eyelash extensions.